Mungkala is the longest standing and most well reputed acupuncture clinic in Chiang Mai, Thailand. This was the first acupuncture clinic I ever visited and tried and was left with no doubts of their quality. Tcm Dr. Rungrat Pawaradhisan has very gentle acupuncture technique using short needles that are inserted just by light fingertip push on top of the needle. It’s also a place to learn acupuncture in Chiang Mai and it’s principles as a patient and “test rabbit” that I am used to become. Some other places use long needles that remain wobbling on their own weight and are inserted holding them with both hands which might be too stimulating to some patients. 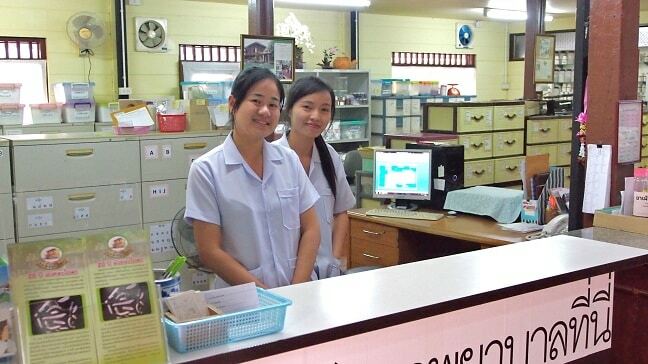 The name “Mungkala” comes from Dr. Rungrats grandfather and she continues the tradition in third generation as one of the few original full time TCM clinics in whole of Thailand. As everybody who has ever done even little research about acupuncture knows it is based on restoring equilibrium between the the elements of ying and yang and qi, rebalancing the energies. Usually one can have deficiency or excess in one of those. I think I was diagnosed being ying deficient and the acupuncture points were decided accordingly. Although later I came to realize that I needed kidney tonification at Shenshu BL-23 points which to my understanding is not so much ying or yang, but qi related. That is common for anyone suffering of adrenal fatigue. The fundamental reason why acupuncture works is still a bit mystery, but scientific studies have proven it works to help on many ailments, although it’s not always the magic bullet for everything. One of the differences of TCM to modern “western” medicine is that the treatment and herbs prescribed are individualized based on the holistic analysis of each patient. It means that if handful of patients with same problem comes over, they might be given different solutions depending on the individual variables and factors. If you can not go and learn acupuncture in Chiang Mai, then this small book explains more about the principles of TCM for anyone seriously interested. The consultation starts from analyzing the surface of tongue and arterial pulse holding ones hand on a cute little light green pillow. It is followed by careful evaluation of the respective condition by listening patients story and what might be contributing factors for the ailment. 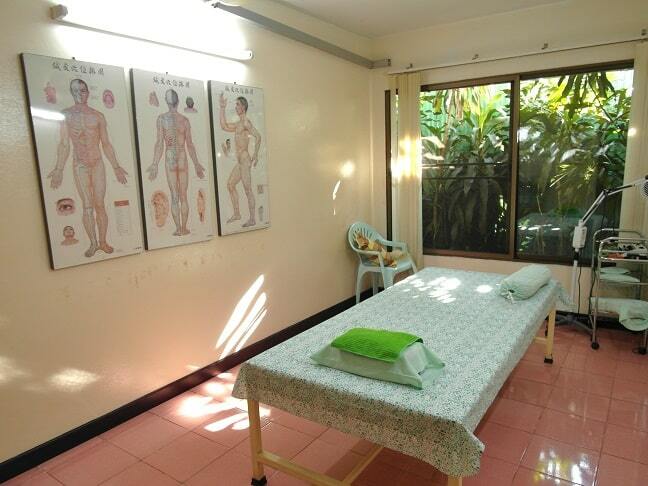 There are few treatment rooms with beds and light green colored walls. Each session lasts 30 minutes. Moxibustion was not available, because there is no proper ventilation for the smoke as is the case with many clinics. But their website still says it’s offered so I don’t know if there has been change in that regard. The acupuncture procedure itself involves the doctor inserting needles accompanied by pleasing compliments and timid queries whether it hurts and finally giving the patient little bell to ring if something comes up. So once the needles are in place patient is left alone for the session. It makes even falling asleep possible until nurse comes and removes the disposable needles. Dr. Rungrat was very attentive, empathetic and supportive in dealing with each patient. I did not meet her husband Tcm Dr. Sudhisak, but according to feedback I have heard he is equally good. 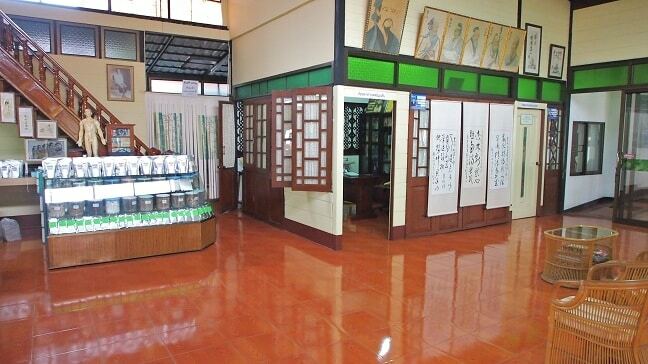 Both of them are prominent herbalists too and the clinic has wide variety of herbs available. I was using Indian ashwagandha at the time so I was not prescribed anything. I went there four times and can say it helped my sleep slightly, but then I got food poisoning that actually came out to be parasite infection which pretty much determined the rest of my trip. I continued experiments in Laos and later at Dr.Wang in Chiang Mai. They charge 500 BHT for a session. 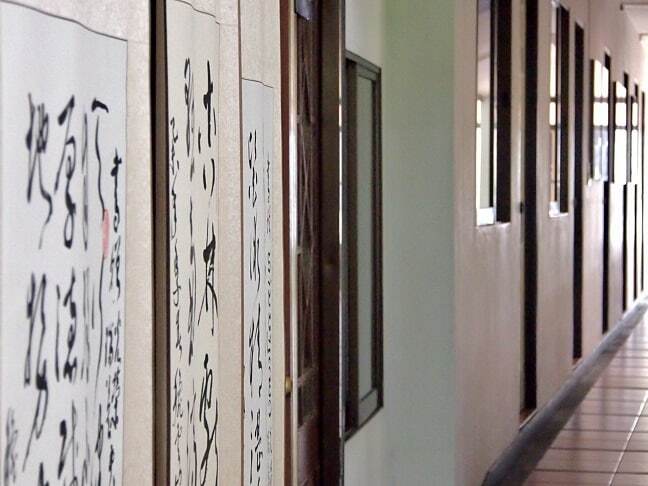 If you want to learn acupuncture in Chiang Mai even better, not just as a patient, there is for instance Chiang Mai Acupuncture Academy that offer courses on the topic. Ready to go? Book your flight here.